Every year the Queen hosts at least three garden parties over the summer at Buckingham Palace. This year to celebrate her 90th birthday she is hosting an extra special garden party. As today would have been Roger Hargreaves birthday we thought it would be lovely to host a little garden party to celebrate his amazing work on all the Mr. Men and Little Miss books. I’m sure that everyone has read and enjoyed at least one Mr. Men or Little Miss book in their lifetime, we have several of the books on the bookshelf. 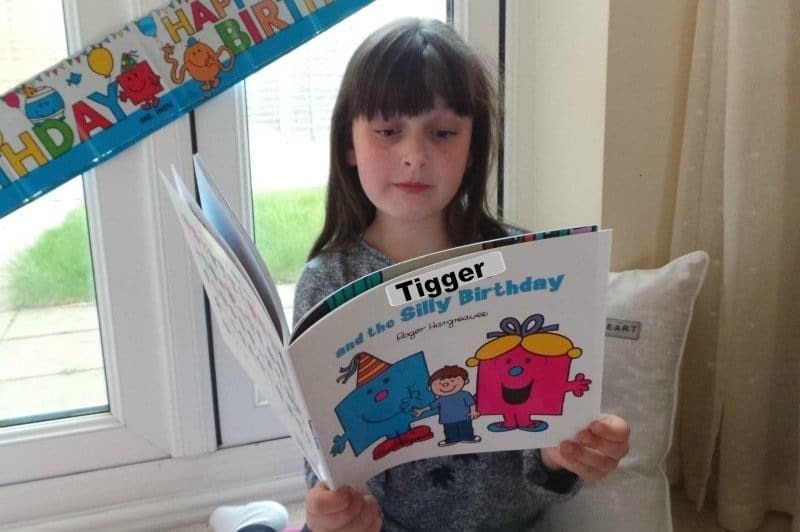 The one that is enjoyed the most has to be Mr. Fussy, this was a gift to Tigger from his pre-school teachers when he left last summer to start reception class. It sums him up perfectly and we all have a giggle as we read it. 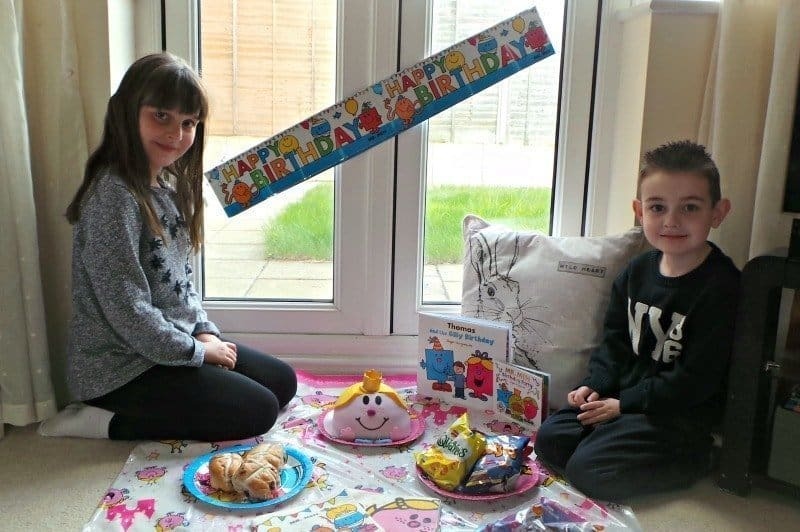 The British weather is all over the place at the moment and despite best-laid plans to have a fabulous garden party in our new garden we ended up having an indoor party by the patio doors to at least be able to look at the garden whilst we enjoyed our party food, cake, and Mr. Men books. 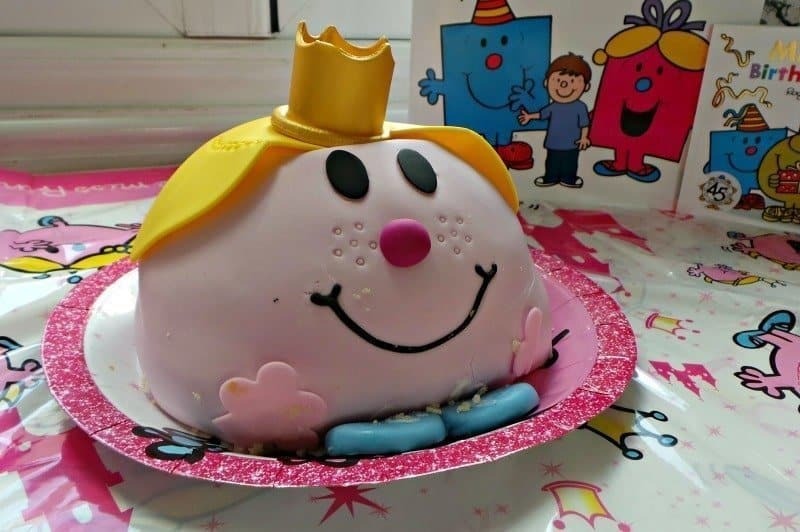 It’s Mr. Silly’s birthday and Little Miss Helpful is organising his birthday party, but unfortunately Little Miss Helpful isn’t as helpful as she sounds. Somehow or other things never quite turn out as they are meant to. Will Mr. Silly’s birthday party be a success? Alongside the release of the Mr. Men Birthday Party book, you are also able to purchase a personalised book – Mr. Men (Your Name) and the Silly Birthday Party. A story library version is available for just £8.99 or a larger print book for just £12.99 – plus if you enter the code pblogger20 you will receive a 20% on all personalised Mr. Men books. 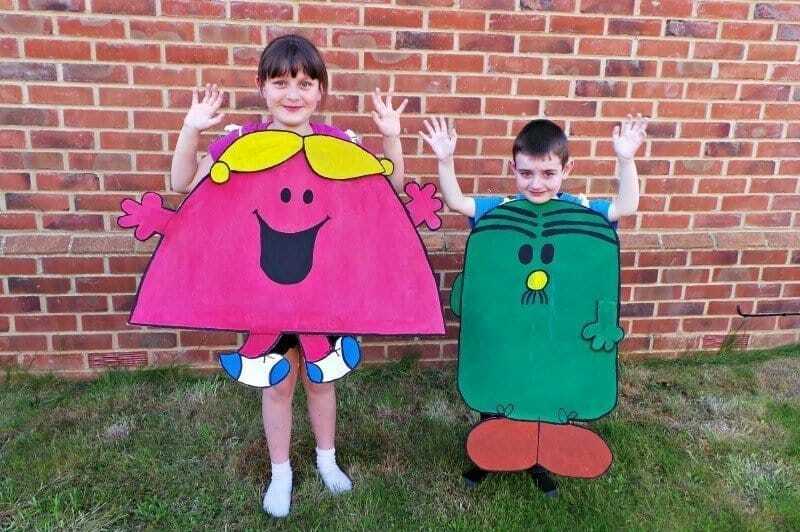 It wouldn’t be a party without dressing up, so we decided to make our own Mr. Men fancy dress costumes. Thankfully the sun was shining the following afternoon so we were able to do this in the garden. Mr Men and Little Miss costumes are relatively simple to make, the hardest part is deciding upon which characters to choose. For Roo and Tigger, it was quite obvious which two characters we should make… Little Miss Chatterbox and Mr Fussy. Depending on how you want to colour in your Mr Men you might find it easier to colour them first before you cut it out (especially if you have little helpers). Using the flaps of the cardboard box you can add extra detailing like hair, hands, shoes etc. The back of the costume should then be painted or coloured to match the front without the need for much detailing. Attach the string or ribbon to the shoulders of the costume, which can then be tied together to form a sandwich board type costume. You may want to add further string/ribbon to the side for added security. 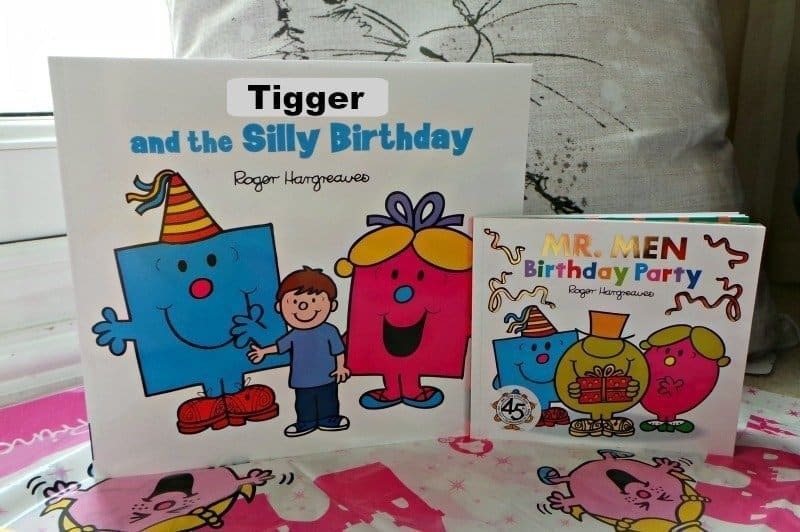 To celebrate the release of the new Mr. Men Birthday Party book, Boo Roo, and Tigger Too is lucky enough to have one copy of the book to giveaway. When I was little at nursery we each had a Mr Men character assigned to our peg and mine was Mr Bump so he’s always been my favourite. It makes sense as I am very clumsy! Those are such cool costumes, I loved the Mr Men books and z loves the Mr Tickle one the best! Mr Bump – he is so clumsy and funny! Mr Bump, because he’s always bumping into things, like me! We love mr bump, he reminds me of my husband! Mr Happy is my favourite of the Mr Me. My favourite is Mr Tickle – He is very funny! Mr Jelly is my favourite. Mr Bump as he has been my favourite since I was a child! I like Mr Bump he’s so accident prone! Mr Messy is the favourite in our house. is this enough words now? My son loved Mr Tickle as thats what he called his Dad as he was always tickling him! Love Mr Tickle, he makes me smile. My favourite Mr Men character is Mr Jelly!